The Carbon GT Series brings more power, more performance and more versatility than ever before. 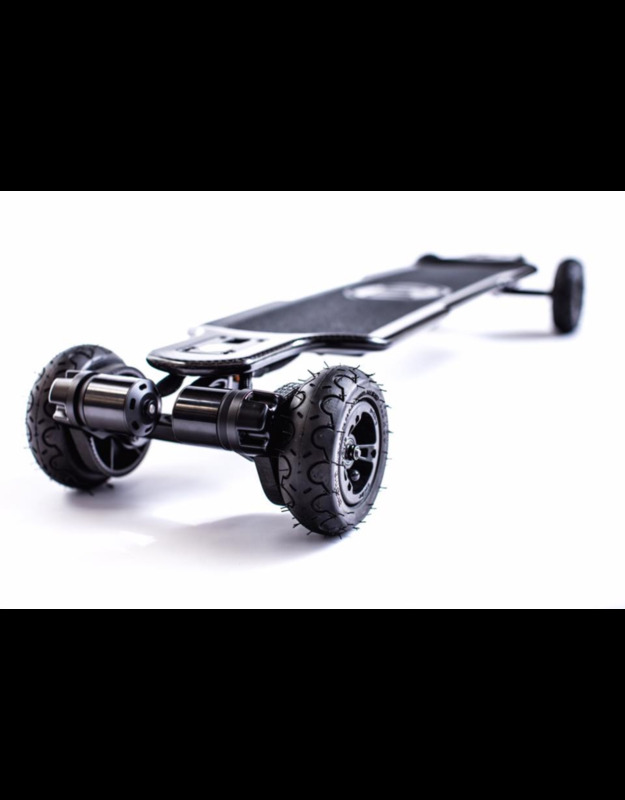 With 3000 watts of motor power, a new wider super-carve truck system, and a new sleeker, beautifully designed Carbon fiber deck, this is the most advanced Evolve electric skateboard ever! We took an already razor sharp carving weapon, and made it even sharper. 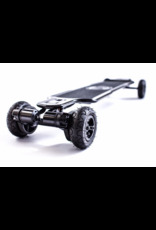 The beautifully designed GT Carbon Fiber deck with built in electrics has a precise low profile look and feel, allowing fantastic control and stability when riding. With an unrivaled 31 mile range, corners will turn into apexes, open stretches into runways, and wide open paths will make your list of favorite powder runs. The twin sensored brushless motors combine to push 3000w of power to the ground through Evolves all new GT Series wheel – an 83mm hybrid of all that is good in our favorite skate wheels; grip, softness and durability. Range - Up to 31 miles on the street version. Up to 18.5 miles on the all terrain version. Varies depending on rider weight, terrain and riding style. Top Speed - Approximately 22-26 mph on the street version depending on wheel and gear size. Approximately 22-25 mph on the all terrain version depending on wheel size. This may vary depending on rider weight and terrain. Hills - Up to 25% gradient in GT mode. Recharge - Approximately 4-5 hours with standard charger (Optional fast charger 3 hours). Weight - 17 pounds (street) and 21 pounds (all terrain). Max Load - 220 pounds. Terrain - Smooth and hard surfaces (ie: tarmac, bitumen, concrete for the street version). Any hard or compact surface (ie: tarmac, bitumen, concrete, short grass, dirt, uneven and poor terrain surfaces) for the all terrain version. 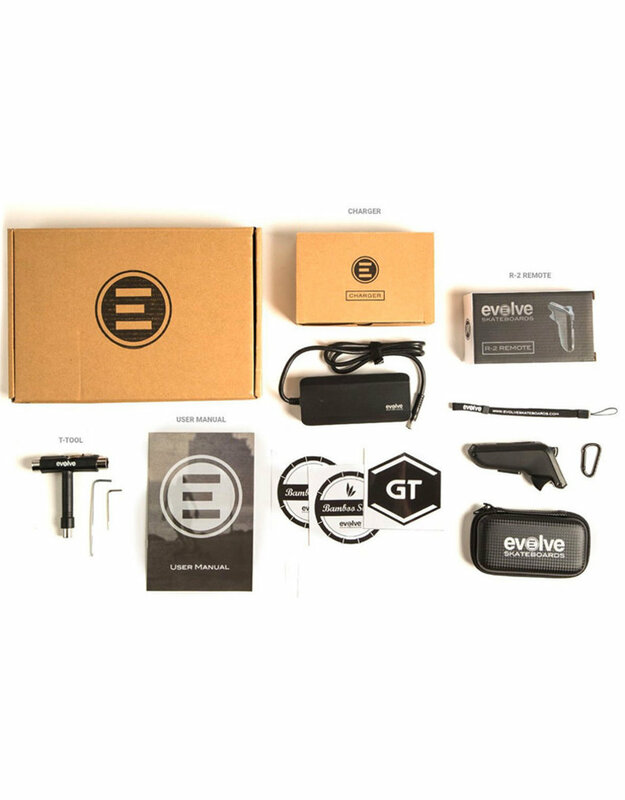 Remote - Magnetic trigger controls for smoothest acceleration and brake feeling. LCD digital screen giving real time riding data such as speed, distance and board diagnostics. Programable Safety/Deadman switch. 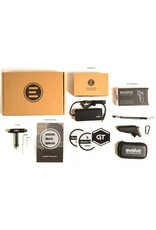 Four speed modes (GT, FAST, ECO & SLOW). Ergonomic design with a rubber over-mould for ultimate hand comfort.